I’ve known Ryan King since we were stationed in Belgium together in the last decade. Ryan is married to fellow author Kristin King and they have four young and energetic boys who keep them constantly busy. I’m amazed that Ryan manages to juggle a busy military career and an active family and still finds time to write. Ryan King is a career US Army officer with multiple combat tours, who continues to serve in the military. He has lived, worked, and traveled throughout Europe, Africa, the Middle East, and Asia. 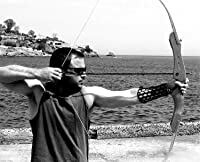 Ryan King writes post-apocalyptic, dystopian, thriller, horror, and action short stories, short novels, and novels. The first book in his post-apocalyptic series Glimmer of Hope was released in September 2012 and is currently on Amazon’s Top 100 list for Science Fiction Dystopian novels. The sequel, Children of Wrath, should be released in late 2013. 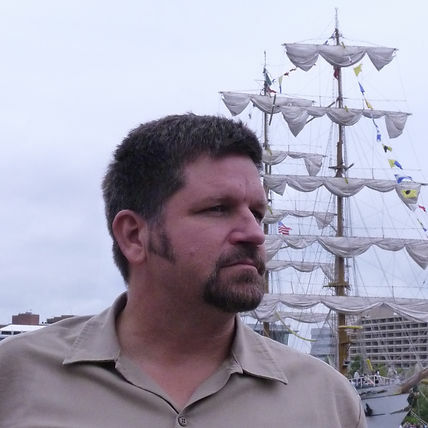 Ryan King also writes under the name of Charles R. King for nonfiction. He has published 22 works of historical nonfiction, primarily covering the Punic Wars and late Roman Republican Era. I’ve always enjoyed books that fire my imagination. When I was younger I devoured fantasy and science fiction, and still read both genres often. I’m also a big fan of history and historical fiction. My favorite authors include Neil Stephenson, Sharon Kay Penman, Stephen King, Frank Herbert, and J.R.R. Tolkien. If someone had the power to step into your creative mind what would they see? I tend to have a fairly active imagination and often think about worst-case scenarios. Many of my story ideas are products of normal events juxtaposed with the unlikely. Additionally, since I was a child, I’ve sometimes had trouble getting to sleep at night. My mind just won’t shut down and relax. One of the ways I’ve learned to allow my brain to relax is to think about and build fictitious worlds in my head. One of these ended up being a setting for my post-apocalyptic series Land of Tomorrow and I’m sure that more of these worlds will make their way into my stories eventually. A typical writing day is unfortunately much different from an ideal writing day. Ideally, I like to write in the early afternoon or evening for as long as I can with only short breaks. In reality I typically write like a snake eats due to a demanding 12-hour a day job and four young sons. Whenever I have an opportunity to get some serious writing done, I try to go all-out until real life pulls me back. What’s your favorite / least favorite aspect of your writing life? Has anything surprised you? My favorite part of writing is the feeling of creating something, especially if I believe I’ve done it well. It’s also a rush when someone reads a story and tells me they liked it. My least favorite part is the lack of time I actually have to write. I often get to the point where just about everything else in my life feels like a distraction from writing and it can be very frustrating. I’ve been fairly surprised at how much fun this has all been for my wife and me. Do you have a favorite character in your series, aside from the lead? If so, which one and why? In Glimmer of Hope I’m particularly fond of the unassuming manipulative spymaster Ethan as well as the brilliant ex-convict and gang leader Brazen. These characters are unpredictable and they often surprise me with what they chose to do or say. Since you’ve been publishing your work, what is the biggest mistake you made that you could share so others can avoid making it? The biggest mistake I made was not writing. I would let myself get intimidated, or not believe I was good enough, or was too afraid of failure to try. I think of all the years I could have been writing and how much better I would have been today as a writer. It took me years to get past the hurdle that I couldn’t measure up to what I thought of as an author. Of course I couldn’t! My points of comparison were Tolkien and Herbert. Those are two of the greatest authors of the twentieth century; of course I wasn’t going to measure up and probably never will. But does a painter stop painting because they can’t paint like Rembrandt or musician stop playing because they can’t play like Mozart? No, because it’s who they are and it’s what makes their hearts soar and sets their minds free. That is how it should be with writers. We have amazing stories and tales locked within us that only we can tell, be it ever so imperfectly. If we don’t have the courage to tell those stories, they will be lost for all of eternity and that is tragic. Are you self-published? If so, what led to you going your own way? I initially didn’t set out to self-publish. I wrote Glimmer of Hope in a three month period and then sent off queries to nearly a hundred agents and publishers and got nothing. Depression and doubt started to get to me, but then I stumbled upon Dean Wesley Smith’s website and he is a big advocate for self-publishing. He’s also a long-time veteran of traditional publishing and even worked at a publishing house himself for a time. He talked about how the publishing industry works and finds talent. Seeing behind that curtain gave me enough encouragement to keep working and writing. I decided to start writing short stories and to self-publish them. They did fairly well, and I set the goal of publishing something once a month, a goal I’ve faithful met since I started self-publishing in January 2012. I usually get an idea and just run with it. Sometimes a story or key plot element will come to mind, and I’ll make notes. Most of the time I sit and think about what I’m going to write in the next chapter before I write it, and that allows the writing itself to go much faster. I just finished a short novel called Kentucky Feud which will be published the beginning of March. It’s about a small Kentucky town with a dark history. That dormant history regains new life when the main character tries to uncover the mystery of a long-dead headless corpse in an unmarked grave. The idea for this story came from a real-life incident my father-in-law experienced when he was the mayor of Princeton, Kentucky, the town where my wife grew up. During preparation for a funeral, they gravediggers discovered an old unmarked grave vault in the intended plot. There were no records, and they had to pull the vault out. They never discovered who the vault’s resident was. Ever since hearing that story it has bounced around in my head and finally found something to stick to allowing me to write the novel. How is your book series different from others in your genre? I wrote Glimmer of Hope to be as realistic as I could possibly make a post-apocalyptic book. Although there is occasional humor and victories for the main characters, I wanted this world to be grim and unforgiving, much like I envision a sick world would be. Society and human decency and goodness are not foregone conclusions and the good guys don’t always win. Although Glimmer of Hope has been described as dark, the next books in the series will be even darker. First of all I hope they enjoy the story and can identify with the characters. I also hope my book causes them to ponder how they would react or survive in a similar situations because that is the second part of any story…the readers putting themselves into the tale. They are on Amazon, Smashwords, Barnes & Noble, and Kobo. Below is a link to my author page in Amazon which lists all my books. Tell us about your next book or a work in progress. Is it a sequel or a stand-alone? I’m actually working on two books right now. The first is a short novel that is a sub-plot from Glimmer of Hope that I plan to put into a charitable fund raising project with one of Dave Van Dyke’s short novels. Both of our families’ support Future Hope Africa which is a non-profit organization that helps provide educational opportunities for children and adults in war-torn eastern Congo. I’m also co-authoring a suspense book called The Island in cooperation with family friend, Dennis Griffin. As soon as these are finished I intend to work on Children of Wraith, the sequel to Glimmer of Hope in addition to maintaining my monthly publishing goal. I enjoy reading or talking about writing with my wife and fellow author Kristin King as well as spending time with our four young sons and two dogs. Here is the first chapter of my post-apocalyptic book Glimmer of Hope which is the first in the Land of Tomorrow series. I hope you enjoy it. Excerpt from Glimmer of Hope – Book 1 of the Land of Tomorrow series. The icy wind whipped dirty grey snow into Nathan’s face. It was always cold and overcast now. He wondered if warmth would ever again come to this dreary world. His extremities were long past numb and his joints felt as if they were frozen in place. He looked at his family lying in the dingy ash-like mush beside him. Bethany shivered and burned with fever and Nathan feared she wouldn’t make it through another night outdoors. His watch told him it was three o’clock in the afternoon, but the overcast sky looked like dusk. Days were shorter now. Nathan turned back to the little clapboard shack silhouetted in the fading light. At one corner of the structure white smoke billowed from a rusty sheet metal pipe promising warmth. There is no easy way to do this. I hope I don’t get us all killed, he thought. Even if things go well, there will likely be blood. Nathan lowered his head onto his arm and closed his eyes. Choices were falling away from him like the leaves on the dying trees towering over them. Keeping his family alive. That was the only thing that mattered now. He looked at his sons and gave them a nod as he stood. Joshua and David rose and followed their father slowly. Nathan put his hand on Bethany as they passed, her fever so bad she was oblivious to everything around her. He thought about conferring with the boys again, but that would only be stalling. They had talked it all over before and besides, there was nothing complicated in what they were about to do. With sudden determination, Nathan ran the last ten feet and kicked in the flimsy door. He was momentarily blinded by the light and warmth. Nathan moved along the right wall and felt the boys come in behind him. His eyes adjusted and he saw three men and one woman. They were staring back at him in shock. The dirty unkempt man nearest the stove stood slowly with a cunning look on his face. He eased a hatchet from the nearby woodpile. Nathan aimed his assault rifle at the man and tightened his finger on the trigger. The man froze, but glowered at Nathan with tangible malice. Time stopped and Nathan almost reconsidered. Nathan shot the man in the face without thinking. Before he could turn he heard David fire the shotgun to his left. David’s shot hit both the man sitting at the table and the scrawny woman in his lap. They both fell to the floor in a bloody heap. The man closest to the entrance bolted out of his chair towards the door and Joshua hesitated, nearly letting him go. Nathan knew what the boy was thinking…he’s running, isn’t a threat, but he’s headed out the door towards where Mother is waiting sick in the snow. The boy deliberately stepped forward into the wind gusting through the silhouette of the door and shot the man in the center of the back with his .45 automatic pistol. Joshua stared at the crumpled body outside the door and looked sick. David simply began going through pockets looking for valuables. Nathan wondered again how his two sons could be so different, and not just in appearance. Joshua was blond and light skinned like Nathan. He was also the oldest by a year and the thinker. David was dark haired like his mother and not terribly reflective. Nathan suspected David spent little time on regret or second-guessing. “There is no other way, and you know it,” said David casually from the floor where he was trying on the hat of the still dying man. “They wouldn’t let us stay in their filthy, lousy shack and even if they did, we’d have our throats cut before morning or worse.” David did not even bother to look around at them, now preoccupied with examining a small knife from the woman’s jacket pocket. She kept putting her hand on David’s arm as blood pooled out of her neck and he shook it off absent-mindedly each time. David turned away from the conversation, clearly already bored, and moved to a pistol thrown into the corner during the commotion. None of them had even seen it in the short fight. This actually gave Nathan pause. His son was right. Despite the deep cold and driving snow, those roving packs of once domesticated, but now murderous, wild dogs would come to them, drawn by the smell of fresh blood. “But Dad, those two look like they’re still alive,” pleaded Joshua pointing to the man and woman David had shot. Joshua moved off and Nathan scanned the area mentally making an inventory of the room. It had probably been a seasonal hunting cabin at one point. There was a small stove in the corner putting out enough heat to keep the tiny shack blessedly warm. There were also three thin pallets with blankets near the stove, and a table with two wobbly chairs. A small egg crate in the corner appeared to contain some canned goods and a bag of dried beans. The walls were thin and drafty, but coming across this shack was fortunate. Nathan had fought to keep the thought just below the surface that his family might die slowly before his very eyes. Now he knew death was at least another day away. They took the two dying ones out first, dragging them down the hill out of sight, and hopefully downwind from the shack. At the bottom David asked Nathan if he wanted to finish them off with the shotgun. Nathan told him he needed to put them out of their misery, but didn’t want to use a gun. Ammunition was just too scarce. Nathan deliberately drew his large hunting knife and knelt down beside the man. “I can do it,” said David emotionlessly. “Just go get those other two bodies and then clean the blood off the floor,” said Nathan as evenly as he could. “Fine,” said David as he turned and walked away into the approaching twilight the shotgun slung low over his back. Nathan paused and watched the boy stride up the hill. If someone had told him three months ago that he would have to suffer teenage attitude from his seventeen year old son because he did not allow the boy to finish killing two people, Nathan would have thought them crazy, but that was exactly what just happened. David gave him the same reaction when told he could not stay at a friend’s house or watch a late movie on a school night. Nathan had known a few men in combat who took to killing, but none as readily and easily as David. It wasn’t that David was homicidal; he just did not seem to feel any empathy for those in his way. Killing was just a chore to him similar to taking out the trash or doing the laundry. Nathan bent back over to the man who was, thankfully, already dead. No such luck with the poor woman. Her eyes followed him like a wild horse, but there was no hope for her, it was a wonder she was alive at all. The buckshot had taken off part of the side of her head, leaving a portion of the brain exposed. Nathan wanted to tell her he was sorry. Even so, he knew that was his weak effort at trying to alleviate his own guilt. Even if there was, by some miracle, a way for this woman and her friends to let him off the hook, he knew they were dead because of him. Folks just like us, he’d told Joshua and it was probably true. He clenched his teeth and reached down to gently turn her head so the pleading eyes faced away. He neatly sliced open her carotid artery, allowing the blood to gush into the snow. Nathan stood up and moved away from the horrific sight and nauseating odors of death. He stretched his squat muscular frame tense with painful exhaustion. He wasn’t exactly short, but his fireplug like physique made him appear shorter than he was. Nathan walked stiffly a few feet away to breathe in the cold dead air. He watched the sickly yellow sun set over the snow-covered hills. The quiet and stillness felt more ominous than peaceful. There were suddenly no sounds, even the wind stopped. The whole vastness of the earth is a gigantic open grave, thought Nathan and shuddered. Nathan sagged down against a tree in sudden grief. Did I save his family for this? Is the world nothing but a rotting corpse? Are we fooling ourselves? He climbed slowly back to his feet brushing the slimy snow off his body. I might be a fool, he thought, but I know no other way. The choice is simple and will be decided each day and each moment. Death or life? Despair or hope? A gust of wind brought the sound of his boys talking. He could tell by the tone the open animosity was gone and they were brothers again, just like in days past. Maybe only for a little while, but it was something. Nathan felt strength and purpose flow into him. I must keep them alive. I must maintain hope, however pathetic it might prove. Nathan turned and resolutely climbed up the hill to his family and the awaiting light and warmth.